Haroon Bokhari is an Associate at SDC. 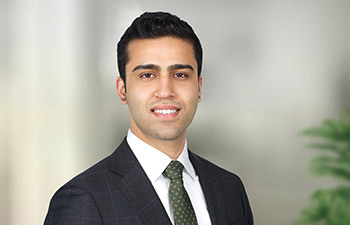 Prior to joining SDC, Haroon was an Analyst in the Technology, Media and Telecom (TMT) Group at Guggenheim Partners. Prior to Guggenheim, Haroon was an Analyst in the TMT Group at Wells Fargo Securities. During his tenure as an investment banker, Haroon executed over $20 billion in M&A, debt and equity transactions across a variety of sectors within the TMT space. Haroon holds a B.A. in Economics, Math and Computer Science from Macalester College.